1,328 contractual workers missing? – Bombard the Headquarters! More than a month after the tragic fire that engulfed the House Technology Industries (HTI) plant in the Cavite Export Processing Zone (CEPZ), facts about what rights advocates fear to be “the worst workplace tragedy in history” remain shrouded in secrecy. When the fire broke out at the factory at 6 p.m. on Feb. 1, videos, photos, and accounts of the fire quickly went viral. But these now seem to have been largely removed from the public eye. 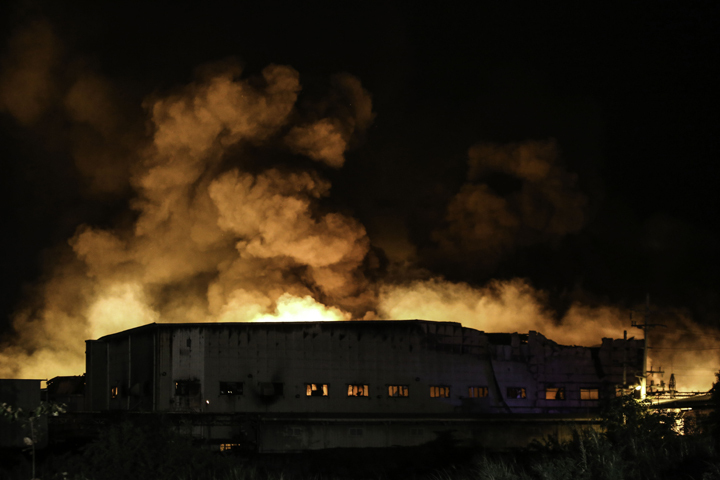 Even as the Philippine Economic Zone Authority (Peza), the local government of Cavite, and the Bureau of Fire Protection admit the absence of a comprehensive investigation, claims that workers were trapped inside the burning factory have been quickly dismissed. But testimonies from workers gathered during a national fact-finding mission (NFFM) conducted by the Center for Trade Union and Human Rights (CTUHR) and other people’s organizations last Feb. 2-5 paint a different picture. Exactly 1,328 HTI workers remain unaccounted for, according to the NFFM report presented in Congress last Feb. 21. If true, then this could be a workplace tragedy far worse than the Kentex slipper factory fire on May 13, 2015, in which 72 workers died. Respondents of the NFFM say hundreds were working at the second and third floors when the fire began. More women were at quality control in the third floor but only 25 of the publicized list of 126 injured employees in hospitals were women. One worker narrated seeing a couple heading toward a bathroom crying and embracing each other. “When I was already out of the building, I did not see anyone passing through the fire exit, but many women, including a pregnant one, jumped off the windows from the second and third floors,” he said. Witnesses said only the HTI main building’s regular entrance served as the main passage for workers escaping the fire. They said it was too narrow for the crowd of workers desperately rushing out, adding that many fire exits were locked. All indications appear to point toward a corporate public relations whitewash of the facts of the fire. “The unusual silence of the workers and community residents about a fire of such magnitude that raged for 48 hours is alarming,” the NFFM said on the evasiveness of respondents. From the start, the media were barred by the HTI management, Peza, and the local government from entering the CEPZ. Journalists were allowed to join an inspection of the wreckage last Feb. 4 but were also told to remain in their vehicles. The Duterte administration has been uncharacteristically silent on the issue. Is it because an expansion of the number of special economic zones (SEZs) in the country is part of its 10-point economic agenda? We have been made to believe that workers in SEZs enjoy better working conditions. In truth, SEZs have been established as enclaves to host transnational corporations investing in the semiprocessing of products for export in exchange for incentives like tax exemptions, minimal state regulation, and a steady supply of cheap and docile contractual labor. Workers in SEZs suffer from neoliberal schemes that keep wages low, impose contractualization, attack workers’ right to organize, and undermine safe working conditions. Where have 1,328 HTI contractual workers gone? This question offers faint echoes of Gabriel Garcia Marquez’s “Cien Años de Soledad,” in which he wrote of the infamous massacre of striking banana plantation workers by the Colombian Army in 1928. Like the rejected bananas of the US-owned United Fruit Company, the dead workers were packed inside a train and thrown into the sea. The massacre’s lone survivor in the novel was able to escape, only to find out that all talk of the dead workers has been dismissed as tall tales and rumors. “There must have been three thousand of them,” he murmured. “What?” “The dead,” he clarified. “There haven’t been any dead here,” she said.